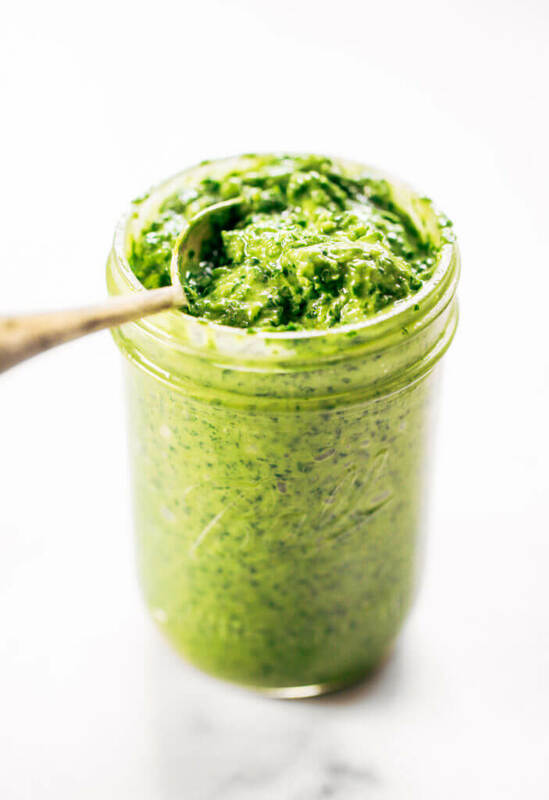 5 minute kale pesto made with avocado, olive oil, and garlic. 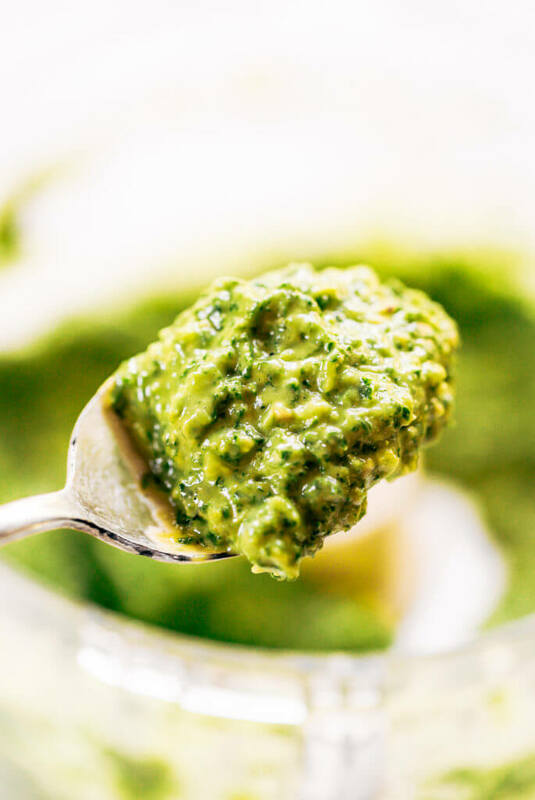 An easy paleo whole30 sauce to serve with pasta, veggie sticks, or eat with a spoon! 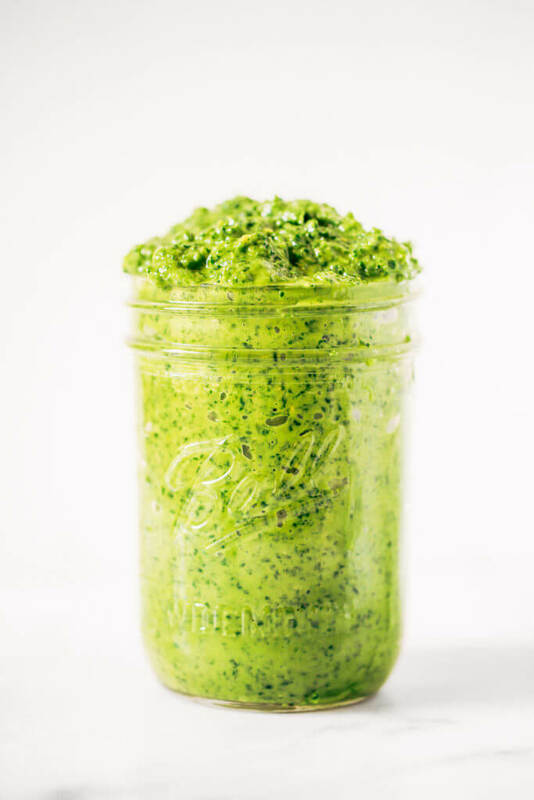 A healthy, light, and fresh pesto recipe. You know what’s really great in life? 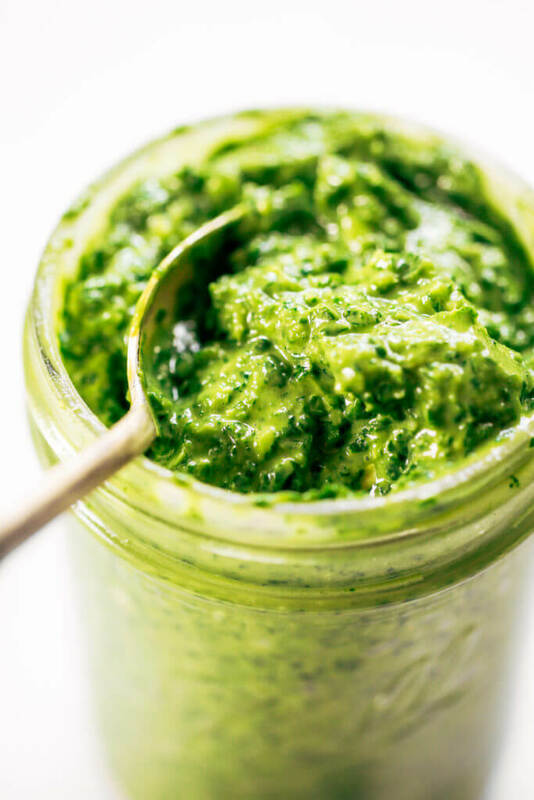 Going camping and pulling out you mason jar of kale pesto and eating it with a spoon. 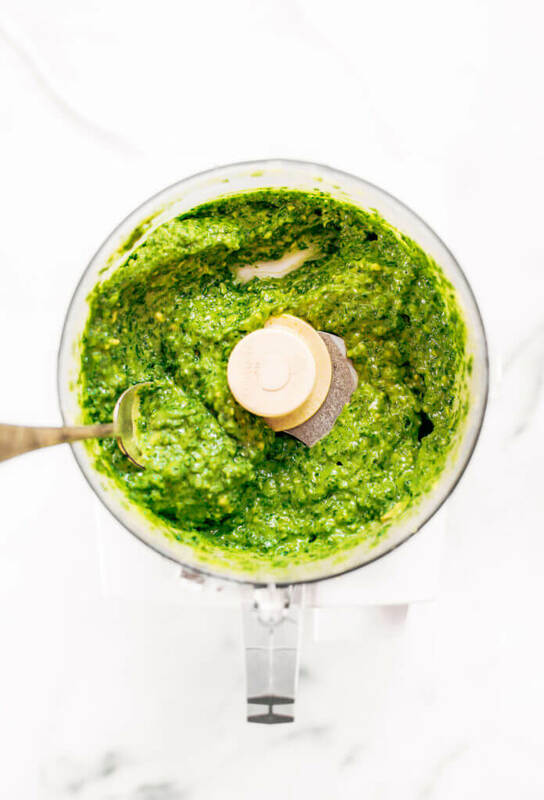 It’s like those fancy jar salads, but all mixed up like pesto. We like to keep things light and fresh around here, so anything that reads fast food and is basically salad you can eat with a spoon- I’m in. My favorite thing about this recipe is the ingredients. I mean, I’m pretty much kale’s number one fan. 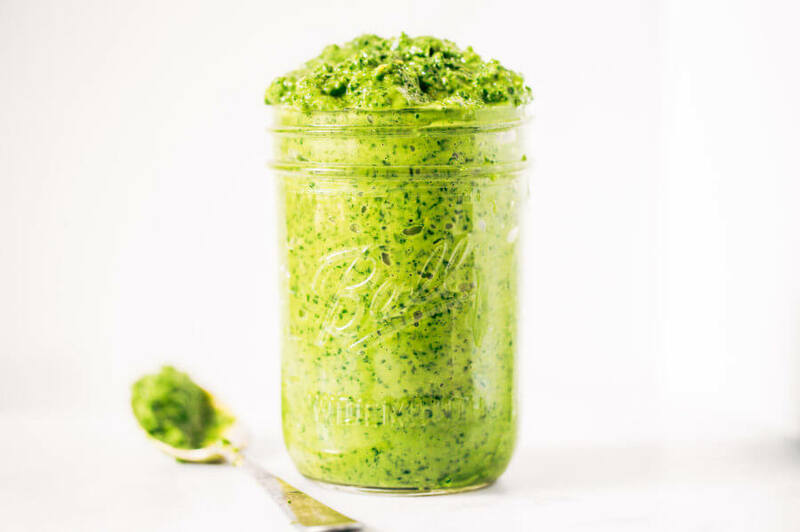 So, the fact that I usually double up on the kale in this recipe means I have a whole jar of kale in my fridge- all seasoned and ready to go! The creaminess from the avocado with the tang of the lemon and garlic, plus a pinch of sea salt flakes; we are talking good eats people. Spread it on these sweet potato pitas. Dip cucumber and carrot sticks right into the jar, duh. Eat it with a spoon- my personal favorite. Serve it up with this sweet potato gnocchi or this cauliflower gnocchi. YUMO! 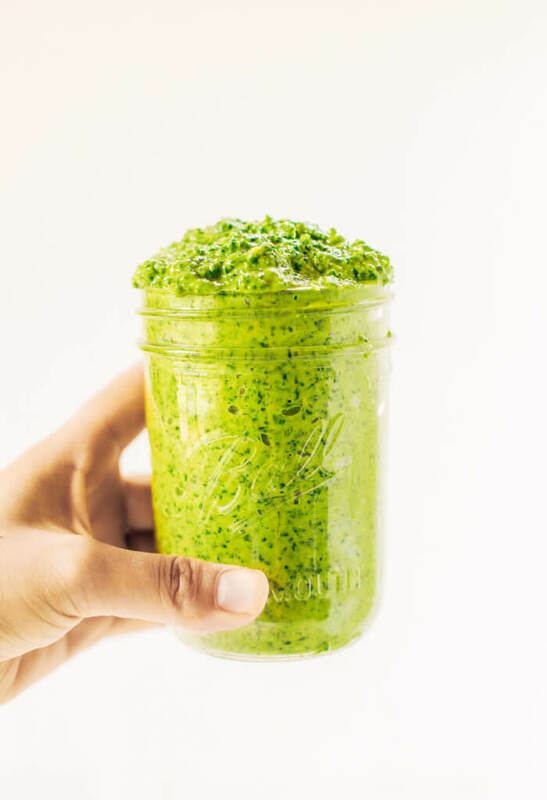 Store it in a jar in the fridge for 4-5 days. 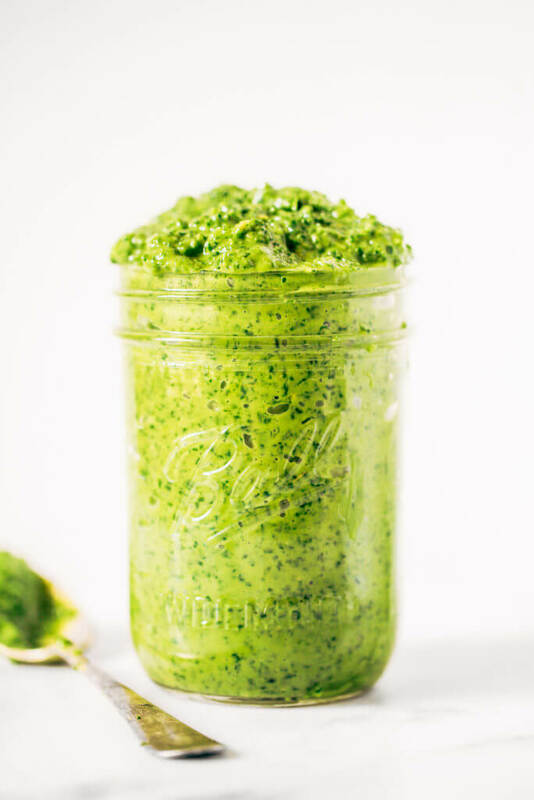 You can double the kale measurement and add 1/4 cup olive oil, 1/4 cup water, 1 clove of garlic, a squeeze of lemon juice, and pinch of sea salt- if you are an all out kale fan like myself. Approximately how many cups of kale would the 1/2 head be equal to? I think it’s about 2-3 cups.